To many this seemed like a largely illogical statement, including the Royal Society of Chemsitry. Their response was to offer a £1 million bounty for anyone who could present them with a truly 100% chemical free material. Five years later and needless to say the RSC has not had to cough up. Meanwhile the term ‘chemical-free’ is still being banded about (including articles in mainstream media(chached page) , eliciting periodic complaints and some highly amusing satire from bloggers (and not just the chemistry crowd, a Mum’s blogs have joined in as well). In short not much has changed. I figured it might be time to see if the ASA might reconsider it’s position. And a brand of ‘chemical-free’ deodorant that’s stocked in Holland and Barrett (a health food shop in the UK) seemed like the perfect test bed. I completed the ASA complaints form, making all the usual points about how it can’t possibly be chemical free, and this is the response I got. While we appreciate your point that all material consists of chemicals, there do not appear to be grounds to suppose that this means that consumers will be misled by the claims in this ad. We note that the claim is qualified by a list of ingredients next to the product description. We consider that consumers are likely to generally interpret claims such as this in the practical sense that no synthetic chemicals, as opposed to the organic constituents of the product, have been added to the product rather than in the literal sense that the product includes no chemicals whatsoever. On this basis we are satisfied that consumers are unlikely to be misled to their detriment by this ad and that the advertisers are not in breach of our Code on this occasion. So pretty much the same stance they took 5 years ago, which does rather grate. But does it really matter? Maybe the consumer does understand that “chemical-free” is nonsense and I should stop getting irritated by it. The comments in the Smartmama.com blog seem to back this up: The general feeling seems to be an understanding that shampoo etc. 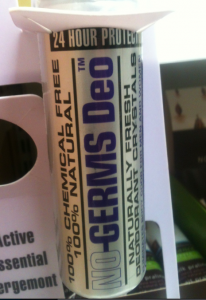 can’t be ‘chemical-free’ , combined with annoyance at products that use the term. One particular comment sums it up nicely..
Could anyone be more contemptuous of the public’s intellect than people marketing “chemical free” products? Seems like “chemical-free” marketing might be backfiring. Let’s hope so. Is separating “natural chemicals” and “unnatural chemicals” that easy, though? “Natural” vs. “unnatural” is a blurry line to begin with and it’s even more blurry than when you’re talking about something formed by chemical reactions. Most chemicals are simply discovered, not invented (though there are exceptions). Monosodium glutmate and caffeine are often get listed as “unnatural chemicals.” But monosodium glutamate is a crystallized version of Glutamic acid, a substance which is present in everything from green tea to human milk; caffeine is actually occurs naturally in a lot of plants, including cacao beans, tea leaves, and coffee beans. That doesn’t automatically make either of those things good, but it doesn’t make them automatically bad, either. the real problem here is that it makes it impossible for me to explain my grandmother that the 100% chemical free shampoo she buys for twice the price of a regular one is neither chemical free or natural and a chemical is not something that causes cancer and kills you. it makes it impossible to explain my friend that there is no difference between LSD made in laboratory or extracted from ergot and everytime we talk about that subject he uses the fact that ergot is natural source as an argument for it to be a better source for LSD together with the usual ” dude thats full of chemicals”. the problem here is that the industrie takes advantage of people’s ignorance while trying to disconnect their products from the chemical industrie (wich is kind of ironic) and they ruin the reputation of chemistry to the consumer’s eye. you, as someone who clearly enjoys science and chemistry, should understand its not just a matter of semantics when it comes to brainwash people with pseudo-science. Fair points. But they do presuppose that there is something intrinsically safer about natural chemicals as compared to synthetics. And I’m not convinced that this is the case, in fact its a dangerous misconception. I hope you don’t mind me plugging those here. I think it’s great that you’re writing about this topic! Thanks for the comment and the links to your great posts.